We get frequent queries regarding fixing a Perlator Tap but ‘Perlator’ is just the brand name of the Aerator at the tip of the Spout. It is not the actual name of the Tap Brand or the Tap. 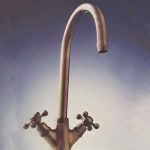 Fortunately we stock most of the UK Leading Tap Brand Spare Parts and once we have the correct information as outlined in the blog link below then we will do our best to supply the part that you need to fix your Tap. Sometimes we can identify a Tap by the picture alone. Email all details to sales@tapsandsinksonline.co.uk with as much information as you have e.g. approx installation date of your tap. Please put in the Subject Header of the email that you wish Tap to be identified and your full name for reference. 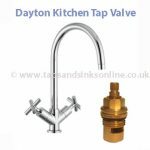 This Blog link ‘My Kitchen Tap is dripping‘ will give you a detailed step by step guide as to how to identify your Tap so that we can then help you with the Spare Tap Part that you need. We do NOT stock Bathroom Tap Parts. 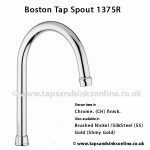 We specialise in Kitchen Tap and Kitchen Sink Spare Parts. I have just contacted you regarding replacing the spout of a Perlator tap. 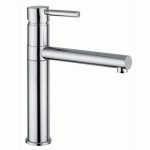 Having looked into this a bit more it seems that the tap is actually a Franke Olympus tap with a silk steel finish. 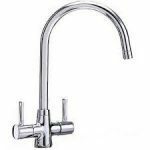 here is the link if you wish to purchase a new Franke Olympus Spout . Just click here.